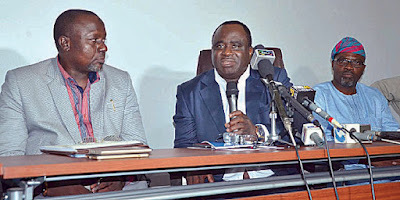 The National Agency for Food and Drug Administration and Control (NAFDAC) has uncovered and sealed a warehouse belonging to H&H Integrated Nigeria Limited following illegal importation and housing of 49 unregistered food products and non-adherence to good hygienic practices in Lagos. Newswatch Times gathered that the large warehouse located at N0. 30 Iman Dauda Street, Eric Moore, Lagos, was sealed following a tip-off and intelligence report which revealed that the company was involved in importation and storage of illegal food products, particularly snacks commonly consumed by children. The company was also accused of not adhering to good hygienic practices as most of the products were stored in an unhygienic environment. And out of its 50 different brands of products, one was registered. Some of the 49 unregistered products which are largely biscuits products for children include; Mr. Magic Soft Candy, Cracker soda biscuit, milk chocolate wafer roll, non-dairy creamer, H&H fruit Juice, Coklat pasta, sprite candy, Yummy H&H, chewing gum and Power milk cookies. Others are Henna Tatton bubble gum, twins crisp roll, non diary tea creamer, musical bracelet candy, stick candy milky, mix fruits flavour chewing gum, champion chocolate, Big band, Bufferfly choco, 123 H&H, Whistle milk candy strawberry/choco, mini choco bean, spray candy and Centic filled crispy roll. Director-General, National Agency for Food and Drug Administration and Control (NAFDAC), Dr. Paul Orhii, flanked by Director, Veterinary Medicine and Allied Product, Dr. Buka Ali Usman and National President, poultry Association of Nigeria, Dr. Ayoola Oduntan at a news briefing on the consumption of unwholesome smuggled poultry products at the NAFDAC office in Isolo, Lagos. Addressing journalist shortly after the closure of the warehouse in Lagos, NAFDAC’s Chief Regulatory Officer, Investigation and Enforcement, Pharmacist Babatunji Omoyeni, confirmed that the warehouse was storing products in an unkempt manner, adding that estimated 1.5 million cartoons of various unregistered products running into millions of naira were uncovered. Omoyeni, who said H&H Integrated Company, was into importation, distribution and sales of biscuit products, said NAFDAC has already arrested the managing director of the company, and different samples of the 49 unregistered products taken for laboratory analysis. Omoyeni, who expressed worry over the implications of exposure to poisonous rodents, said the arrangement in the warehouse creates room for revalidation of expiry and manufacturing dates of the products by the company. He further disclosed that the agency would begin investigations into the products, adding that, NAFDAC would not hesitate to take legal actions if it becomes necessary. Noting that the agency has been carrying out enforcement activities nationwide in the last three weeks, he said: “Appropriate sanctions would be melted out on those found wanting. We are taking the managing director that is the head of the team here now. Nigerians should stop buying products that are not registered by NAFDAC because we cannot guarantee their safety. If a product is not registered, that means it is not safe for consumption. Warning other companies to desist from such illegal acts, he queried how a company would register only one product, and brings in more 49 unregistered products under the guise of registering a product. Others unregistered products uncovered include; are choco stick, Nissile green bubble gum, Angry birds bubble gum, star tattoo bubble gum, lawane waifer, H&H spray candy, Power chocolate cookies, exit pepper mint, lush choco filled, choco pop cream, can bubble gum, mini choco bean marlborokent, Dat milk chocolate, cola tablet candy, A-K 47 gum candy, sweet girl chewy candy, musical bracelet candy and fun o. Power chocolate cookies among others. This story was published in Newswatch Times on June 27, 2015.